With this complete cleaning and care kit you have everything in your hands to maintain your solid wood furniture. Wood is a real natural product with a beautiful authentic look. 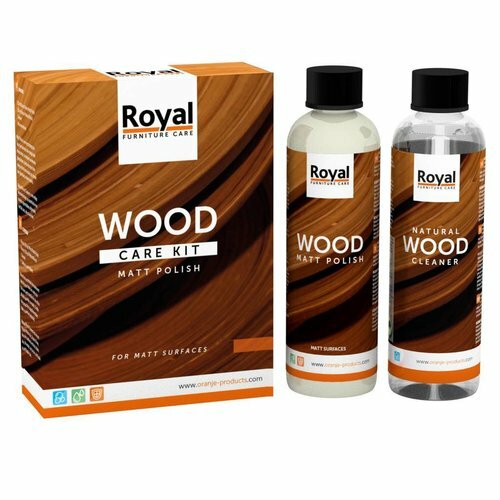 To keep your wooden furniture (s) in top condition, the Wood Care Kit is an excellent choice. This set contains an effective cleaner and a care product especially for wooden furniture with a matt lacquer layer. This unique set cleans, cares and offers extra protection without leaving a gloss layer. Removes any glow spots.